Tips On Creating a Winning Strategy For Getting Better Exposure Of Your Website On Search Engines. Get better visibility of your website on search engines by partnering with a trusted Digital Marketing Agency. Consult our Experts today..! With the continuous change in technology, businesses are thriving to grow their online presence, and increase their website’s traffic. Which can be achieved with the help of a digital marketing agency. This article features how you can increase your website’s traffic and improve your business web presence with the best Digital marketing agency. Analyze: Analyzing makes your website indexed, thereby making it easier for your customers to find you on google or any other search engine. It also helps you know the best search engine optimization services to employ in order to increase your website’s online ranking. Create A Strategy: Creating a strategy will help you develop and accomplish your website’s goals. It is important to define your website’s goals, and how you want to achieve the goals. Also, note that your site will not be successful if you do not have a plan. Research And Carry Out Competitor Analysis: It is very important to research and carry out a proper competitor analysis in order to always stay one step ahead of your competitors. Conducting a competitor analysis is an important aspect of your business that you can’t afford to take for granted if you want to gain an edge over your competitors. Plan And Create Campaigns: Having a good plan before creating a campaign helps you define your aims, your targeted audience, and your budget. Creating a well-planned campaign will help build a strong online reputation for your website. Promote Your Campaign: Advertise your campaigns intently. For better results, post it on many online platforms as possible to make sure the campaign reaches a wider range of people. Monitor Your Campaign: It is essential to keep a close tab on your campaign, and ensure it gets to the targeted audience. Monitor if the campaign generates more lead, as it reaches the audience. Analyze Your Website: Analyzing your website helps you know the statistics of your website, Like the total number of unique/new visitors, returning visitors, traffic sources, bounce rate, top content pages, and the average time a visitor spends on your website. Knowing all these helps you know if your campaign is working fine. Make a Report: After your campaign has been launched, ensure you create a report for your website showing the revenue created, and completed goals. Revise And Reuse The Campaign: From all the reports and statistics, you should know which idea worked, and which one didn’t. Then the campaign should be corrected, improved and reused for a more better result. Now we know doing all of the above and nailing each step the right way can be quite the task to fulfill, this is why WDI is here at your service to make it all a breeze. 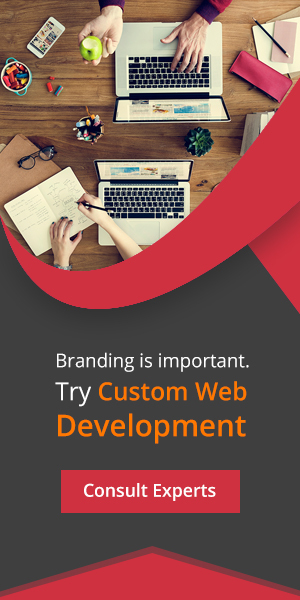 WDI is a full-service online website development company, and an award-winning ISO certified company, with sixteen years of experience. WDI delivers one of the best search engine optimization services strategies which includes competition analysis, and goal conversion strategy for your website. They also offer a social media optimization that will boost your website’s traffic and increase your brand value. WDI offers the best strategy that can increase your website’s visibility and is also the best Website Marketing Agency you need to achieve your website’s visibility. Contact WDI today!